. Lee CY, Wang K*, Sun W. Allocation of emissions permit for China’s iron and steel industry in an imperfectly competitive market: A Nash equilibrium DEA method. IEEE Transactions on Engineering Management 2019, doi: 10.1109/TEM.2019.2904985.
. Xian Y, Wang K*, Wei YM, Huang Z. Would China’s power industry benefit from nationwide carbon emission permit trading? An optimization model-based ex post analysis on abatement cost savings. Applied Energy 2019, 235: 978-986.
. Wang J, Wang K*, Shi X, Wei YM. Spatial heterogeneity and driving forces of environmental productivity growth in China: Would it help to switch pollutant discharge fees to environmental taxes? Journal of Cleaner Production 2019, 223, 36-44.
. Xian Y, Yang K, Wang K*, Wei YM, Huang Z. Cost-environment efficiency analysis of construction industry in China: A materials balance approach. Journal of Cleaner Production 2019, 221: 457-468.
. Gao G, Wang K*, Zhang C, Wei YM. Synergistic Effects of Environmental Regulations on Carbon Productivity Growth in China's Major Industrial Sectors. Natural Hazards 2019, 95(1), 55-72.
. Lee CY*, Wang K. Nash Marginal Abatement Cost Estimation of Air Pollutant Emissions Using the Stochastic Semi-Nonparametric Frontier. European Journal of Operational Research 2019, 273, 1: 390-400.
. Gao G, Chen M, Wang J, Yang K, Xian Y, Shi X, Wang K*. Sufficient or insufficient: Assessment on the Intended Nationally Determined Contributions (INDCs) of world’s major emitters. Frontiers of Engineering Management 2019, 6(1): 19-37.
. Wang K*, Wang J, Wei YM, Zhang C. A novel dataset of emission abatement sector extended input-output table for environmental policy analysis. Applied Energy 2018, 231: 1259-1267.
. Wang K*, Yang K, Wei YM, Zhang C. Shadow prices of direct and overall carbon emissions in China’s construction industry: a parametric directional distance function-based sensitive estimation. Structural Change and Economic Dynamics 2018, 47: 180-193.
. Wang K*, Mi Z, Wei YM. Will pollution taxes improve joint ecological and economic efficiency of thermal power industry in China? A DEA-based materials balance approach. Journal of Industrial Ecology 2018, doi:10.1111/jiec.12740.
. Wang K, Wei YM, Huang Z*. Environmental efficiency and abatement efficiency measurements of China's thermal power industry: A data envelopment analysis based materials balance approach. European Journal of Operational Research 2018, 269(1): 35-50.
. Xian Y, Wang K*, Shi X, Zhang C, Wei YM, Huang Z. Carbon emissions intensity reduction target for China’s power industry: An efficiency and productivity perspective. Journal of Cleaner Production 2018, 197: 1022-1034.
. Wang K*, Lee CY, Zhang J, Wei YM. Operational performance management of the power industry: A distinguishing analysis between effectiveness and efficiency. Annals of Operations Research 2018, 268(1-2): 513-537.
. Wang K*, Xian Y, Lee CY, Wei YM, Huang Z. On selecting directions for directional distance functions in a non-parametric framework: A review. Annals of Operations Research 2017, doi: 10.1007/s10479-017-2423-5.
. Wang K, Che L, Ma C*, Wei YM. The Shadow Price of CO2 Emissions in China's Iron and Steel Industry. Science of the Total Environment 2017, 598, 272-281.
. Wang Z, Li Y, Wang K*, Huang Z. Environment-adjusted operational performance evaluation of solar photovoltaic power plants: A three stage efficiency analysis. Renewable and Sustainable Energy Reviews 2017, 76, 1153-1162.
. Wang K*, Zhang J, Wei YM. Operational and environmental performance in China's thermal power industry: Taking an effectiveness measure as complement to an efficiency measure. Journal of Environmental Management 2017, 192, 254-270.
. Wang K*, Xian Y, Zhang J, Li Y, Che L. Potential carbon emission abatement cost recovery from carbon emission trading in China: An estimation of industry sector. Journal of Modelling in Management 2016, 11(3), 842-854.
. Wang K, Zhang X*, Yu X, Wei YM, Wang B. Emissions trading and abatement cost savings: An estimation of China's thermal power industry. Renewable and Sustainable Energy Reviews 2016, 65, 1005-1017.
. Wang K*, Xian Y, Wei YM, Huang Z. Sources of carbon productivity change: A decomposition and disaggregation analysis based on global Luenberger productivity indicator and endogenous directional distance function. Ecological Indicators 2016, 66, 545-555.
. Wang K*, Wei YM. Sources of energy productivity change in China during 1997-2012: A decomposition analysis based on the Luenberger productivity indicator. Energy Economics 2016, 54, 50-59.
. Liu Y, Wang K*. Energy efficiency of China's industry sector: An adjusted network DEA (data envelopment analysis)-based decomposition analysis. Energy 2015, 93, 1328-1337.
. Wang K*, Wei YM, Huang Z. Potential gains from carbon emissions trading in China: A DEA based estimation on abatement cost savings. OMEGA-The International Journal of Management Science 2016, 63, 48-59.
. Wang K*, Wang YX, Li K, Wei YM. Energy poverty in China: An index based comprehensive evaluation. Renewable and Sustainable Energy Reviews 2015, 47, 308-323.
. Wang K*, Yu S, Li MJ, We YM. Multi-directional efficiency analysis-based regional industrial environmental performance evaluation of China. Natural Hazards 2015, 75(2S), 273-299.
. Wang K*, Wei YM. China’s regional industrial energy efficiency and carbon emissions abatement costs. Applied Energy 2014, 130, 617-631.
. Wang K*, Huang W, Wu J, Liu YN. Efficiency measures of the Chinese commercial banking system using an additive two-stage DEA. 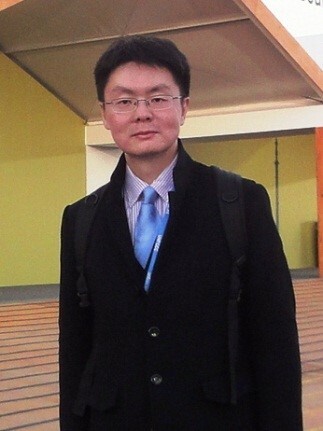 OMEGA-The International Journal of Management Science 2014, 44, 5-20.
. Wang K*, Liu YN. Can Beijing fight with haze? Lessons can be learned from London and Los Angeles. Natural Hazards 2014, 72, 1265-1274.
. Wang K*, Zhang X, Wei YM, Yu S. Regional allocation of CO2 emissions allowance over provinces in China by 2020. Energy Policy 2013, 54, 214-229.
. Wang K*, Wei YM, Zhang X. Energy and emissions efficiency patterns of Chinese regions: A multi-directional efficiency analysis. Applied Energy 2013, 104, 105-116.
. Wang K*, Lu B, Wei YM. China's regional energy and environmental efficiency: A Range-Adjusted Measure based analysis. Applied Energy 2013, 112, 1403-1415.
. Wang K*, Wang L, Wei YM, Ye M. Beijing storm of July 21, 2012: observations and reflections. Natural Hazards 2013, 67, 969-974.
. Wang K*, Wei YM, Zhang X. A comparative analysis of China’s regional energy and emission performance: Which is the better way to deal with undesirable outputs? Energy Policy 2012, 46, 574-584.
. Wang K*, Wei FJ. Robust data envelopment analysis based MCDM with the consideration of uncertain data. Journal of Systems Engineering and Electronics 2010, 21(6), 981-989.
. Wang K*, Yu X. Industrial Energy and Environment Efficiency of Chinese Cities: An Analysis Based on Range-Adjusted Measure. International Journal of Information Technology and Decision Making 2017, 16(4), 1023-1042.
. Wang K*, Liu YN. Prospect of China’s energy conservation and emission reduction during the remaining years of the 12th Five-Year Plan period. International Journal of Global Energy Issues 2016, 39(1/2): 18-34.
. Zhang X, Wang K*, Hao Y, Fan JL, Wei YM. The impact of government policy on preference for NEVs: The evidence from China. Energy Policy 2013, 61, 382-393.
. Yuan XC, Wang Q, Wang K, Wang B, Jin JL, Wei YM. China’s regional vulnerability to drought and its mitigation strategies under climate change: data envelopment analysis and analytic hierarchy process integrated approach. Mitigation and Adaptation Strategies for Global Change 2015, 20(3), 341-359.
. Lu B, Wang K, Xu Z. China’s regional energy efficiency: results based on three-stage DEA model. International Journal of Global Energy Issues 2013, 36(2), 262-276.
. Wang B, Pan SY, Ke RY, Wang K, Wei YM. An overview of climate change vulnerability: a bibliometric analysis based on Web of Science database. Natural Hazards 2014, 74(3), 1649-1666.
. Wei YM, Wang K, Wang ZH, Tatano H. Vulnerability of infrastructure to natural hazards and climate change in China. Natural Hazards 2014, 75(2), 107-110.
. Wei YM, Wang L, Liao H, Wang K, Murty T, Yan J. Responsibility accounting in carbon allocation: A global perspective. Applied Energy 2014, 130, 122-133.
. Xian Y, Wang K*. (2018). Carbon Productivity and Carbon Shadow Price in China’s Power Industry: An Endogenous Directional Distance Function Approach. In Energy, Environment and Transitional Green Growth in China. Springer.
. Wang K*. (2015). Energy Efficiency Index via Data Envelopment Analysis (DEA): Methodology and Application. In Handbook of Clean Energy Systems. Wiley.
. Wang K*. (2016). Evaluation and Decomposition of Energy and Environmental Productivity Change Using DEA. In Handbook of Operations Analytics Using Data Envelopment Analysis. Springer US. 2014.6. The 2nd International Workshop on Supply Chain Management and Express Logistics. Hefei, China. Presentation: ZSG-DEA Based Regional Allocation of CO2 Emissions Allowance in China by 2020. 2013.4. The 2013 CEEP-ESI Joint Workshop on Energy Economics and Climate Policy. Beijing, China. Presentation: China’s regional energy efficiency: A multistage analysis. 2011.12. The 6th Japan-China Joint Seminar on Sustainable Management and Integrated Disaster Risk Management 2011. Kyoto, Japan. Presentation: A ZSG-DEA Based Resources Allocation Model and Its Application in the Regional Allocation of CO2 Emissions Allowance in China. 2013.7. The 5th International Conference on Applied Energy. Pretoria, South Africa. Presentation: China’s regional energy efficiency and emissions abatement costs. 2012.7. The 4th International Conference on Applied Energy. Suzhou, China. Presentation: China’s regional energy and environment efficiency: A Range-Adjusted Measure based analysis. 2012.6. The 2012 INFORMS Beijing Meeting. Beijing, China. Presentation: ZSG-DEA Based Regional Allocation of CO2 Emissions Allowance in China by 2020. 2011.8. The 9th International Conference on Data Envelopment Analysis. Thessaloniki, Greece. Presentation: Total-factor energy and environment efficiency evaluation of China: A DEA based approach. 2014.6. The 6th International Conference on Applied Energy. Taipei, Taiwan, China. 2013.7. The 5th International Conference on Applied Energy. Pretoria, South Africa. 2012.7. The 4th International Conference on Applied Energy. Suzhou, China.